New idea for summer ...?! 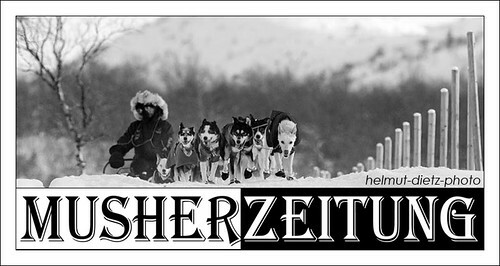 "Immer wenn ich in Norwegen bei den langen Schlittenhunderennen fotografiere, frage ich mich, was das so besonders macht. Es gibt viele Antworten darauf. Eine davon ist die für uns Mitteleuropäer ungewohnte, baumfreie Landschaft. Zugegeben, hier etwas getrickst. Die Berge im Hintergrund sind nichts anderes als die schneebedeckten Halden des stillgelegten Erzbergwerks in Røros. So oder so ähnlich sieht es aber auch in den Fjells aus, sobald man 500 oder 600 Höhenmeter überwunden hat. Die Baumgrenze sinkt dann, je weiter man gen Norden kommt. In der Finnmarksvidda ist dann kaum noch Baumbewuchs vorhanden. Beim Femundlopet ist das etwas anders. Die Vielfalt der Landschaften, durch die sich der Trail über bis zu 600 Kilometer zieht, ist eine der Besonderheiten dieses Rennens. Ein bisschen Freiheit & Abenteuer zieht sich den Trail entlang und man ist als Begleiter dennoch ziemlich schnell wieder in der Zivilisation. Fast alles ist mit dem Auto machbar, auch wenn man hier und da, um schöne Fotos machen zu können, einige Stunden wandern muss. 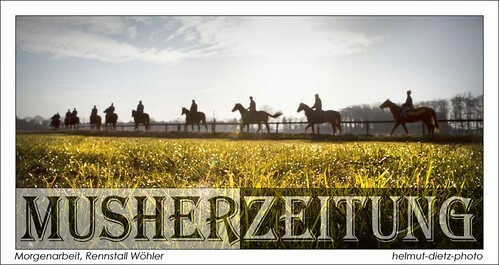 Aber genau das it es ja, was so ein Rennen ausmacht. Als Fotograf bei Schlittenhunderennen." Ein schöner Vergleich, der verschneite Thüringer Wald auf dem nächsten Foto. Wer jetzt noch nicht bei Facebook ist ... jetzt wäre ein guter Grund. Besser hat noch keiner direkt von vor Ort berichtet. Warum in Foren herumblättern oder einen Tag später in der Zeitung lesen, wenn man es SOFORT und DIREKT haben kann. ... sein Motto: RUNNING with RUNYAN! Milos and his dogteam are close to another great victory ...?! Milos Gonda made it! It's rookie time! 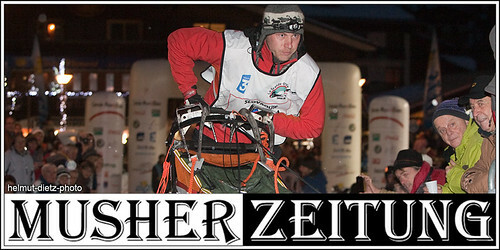 helmut-dietz-photo: Milos Gonda, La Grande Odyssee Champion. Milos Gonda just won as rookie Finnmarkslopet 500 2013. Great show, good job! Congratulations to Milos, Gaynor & dogs ...! helmut-dietz-Photo: Robert Sørlie, Norway. 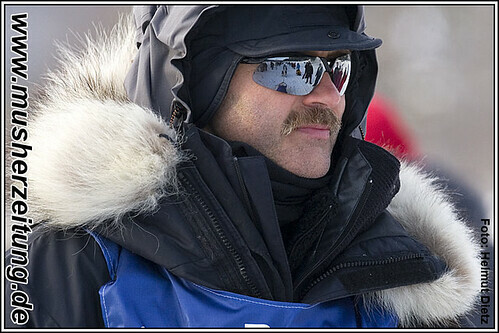 He's a great Muhser stratege and has well trained and capable dogs, ready to realise the musher's plan. In any conditions. Sometimes a strategy is great and leads you to the victory, sometimes not. It also depends on a lot of different other factors, like the weather conditions or, if the other mushers anticipate the strategy of their main competitors - or how they react and change (maybe) their own strategy. 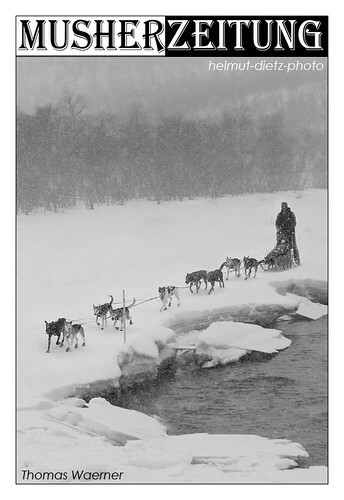 At the end, it all depends on the dogs, if they understand the musher's strategy ... and if they are willing and/or capable to follow it. 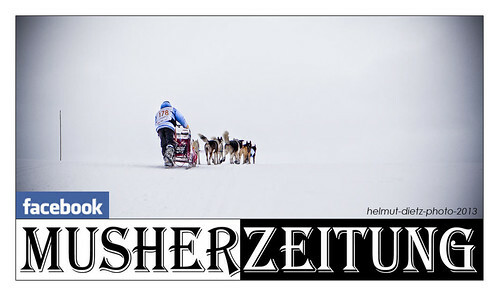 helmut-dietz-photo: FL 1000, the longest sled dog race in Europe. 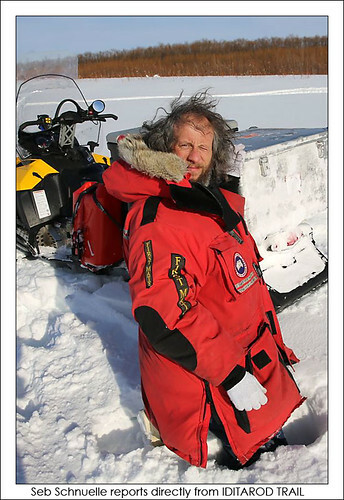 Hugh Neff, IDITAROD & YUKON QUEST top musher passed at half of the longest sled dog race in Europe, at checkpoint Kirkenes all top Norwegian mushers. He's been chased by Trine Kristiansen Lyrek and Sigrid Ekran. A huge pack of Norwegian mushers will join them soon and Hugh Neff will be the "rabbit" in front of many Norwegian foxes. 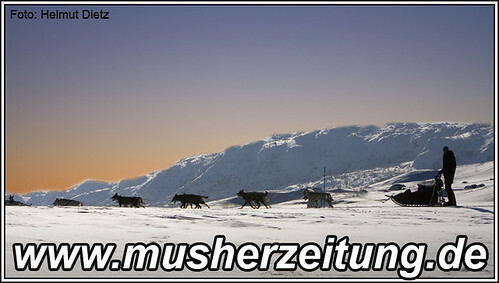 Femundlopet podium dogs are top also at the longest sled dog race in Europe - topped only by a dog team from overseas. When will they pass? Will they? 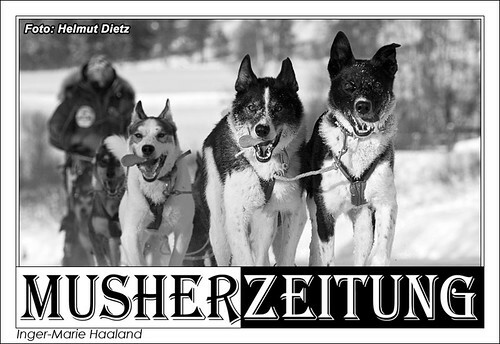 helmut-dietz-photo: Inger-Marie Haaland, Fagerheim Sled Dog Racing Team is leading Europe's longest sled dog race. 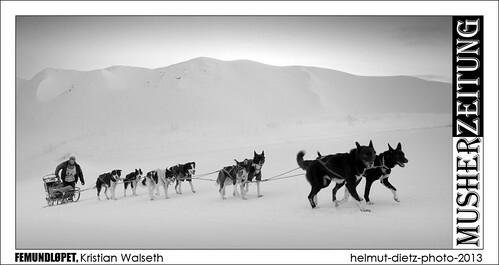 Same dog team which was winning some weeks ago the most beautiful sled dog race on earth: Femundlopet 2013. But with another pilot: Ralph Johannessen. 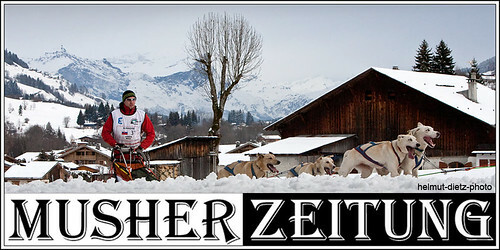 He is now the strategic dog handler for Inger-Marie, which she was at Femundlopet for Ralph. Real successful team: Team Fagerheim! Inger-Marie is escorted by two Norwegian gentlemen: Ronny Frydenlund and Kristian Walseth. They have a gap of respect between them and Inger-Marie. Will they be gentlemen untill the finish line? 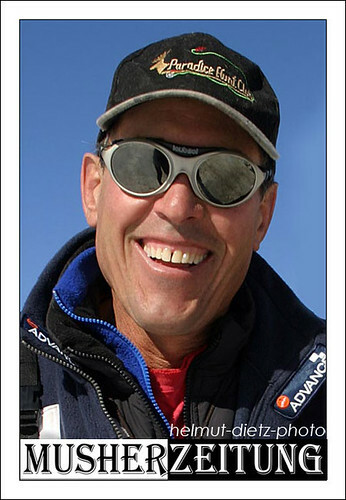 By the way, Hugh Neff from Alaska is placed sixth now. 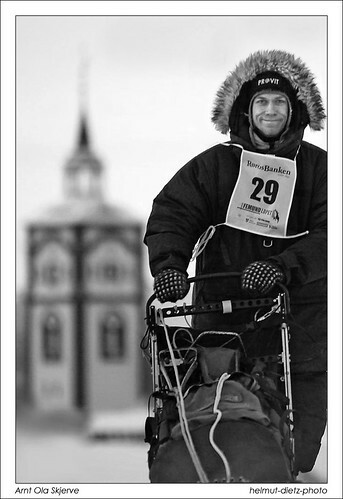 He had his show, when he passed all Norwegian mushers at checkpoint Kirkenes, (half of the race) when he didn't stop. 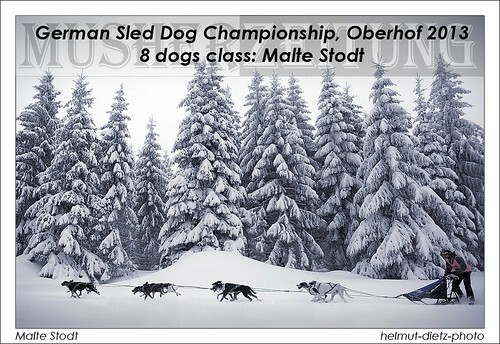 The Femundlopet 2013 Champions are currently leading Europe's longest sled dog race. Thomas Waerner came in to the last checkpoint Karasjok as first, Inger-Marie Haaland as second and close after her Arnt Ola Skjerve as third. The same dog teams were the champions at Femundlopet 2013: The Fagerheim Dogteam, pilotet by Ralph Johannessen were first, Arnt Ola Skjerve second and Thomas Waerner third. How will the podium look like in Alta? Will the Alaskan Hugh Neff still has a chance to catch up - or will some of the top and young Norwegian mushers be able for a tremendous finish? Like Sigrid Ekran who seems to be absolutely fit again with her dogteam - after a weak phase in the second quarter of the race?